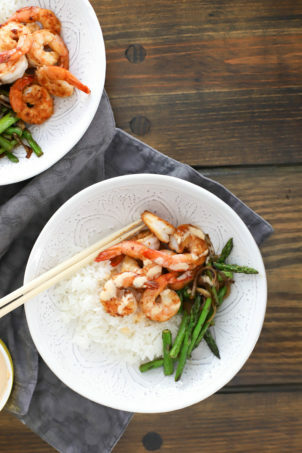 This recipe is so simple and requires no measurements, thank goodness! 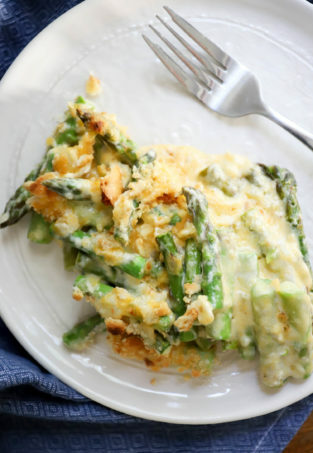 You could use any hardy vegetable such as carrots, eggplant, asparagus, or mushrooms in this dish too! Now, preheat your oven to 400 degrees Fahrenheit. 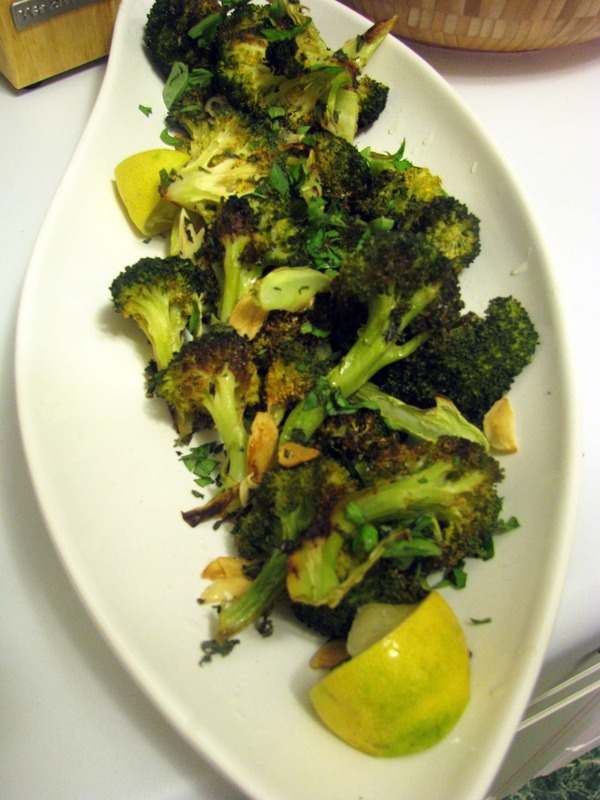 While the oven is preheating, cut the broccoli into long stems – don’t throw away the stems. You bought them and should eat them! They get soft in this recipe, don’t worry. 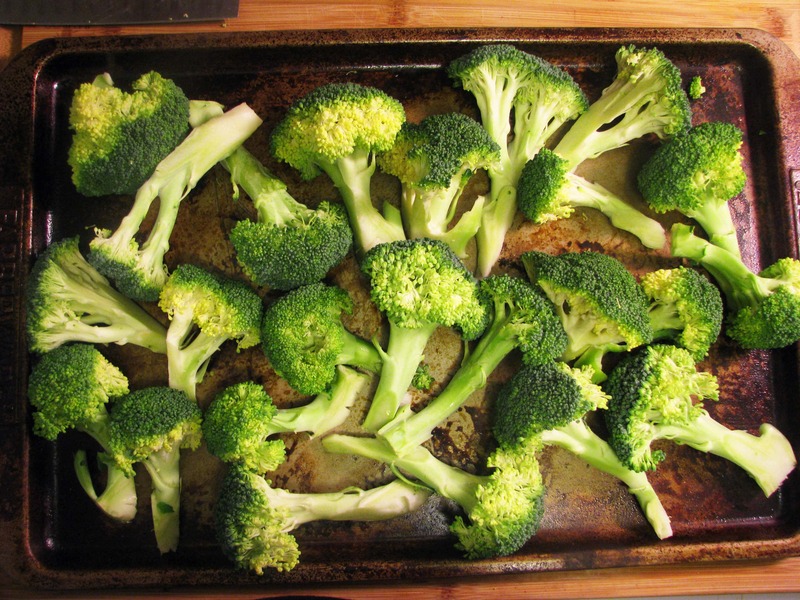 Once the broccoli is all cut up, arrange the pieces in a single layer on a baking sheet. Use two sheets if you need to! 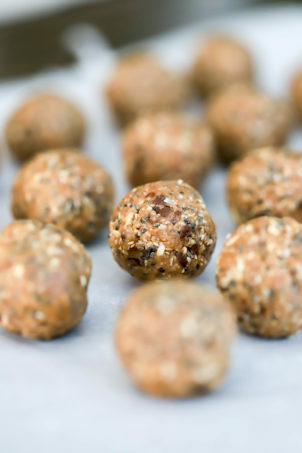 Then sprinkle the whole pan with salt and pepper and a little olive oil – 1 tablespoon per pan max – just a little bit! Note: You could eliminate the oil and spray everything with cooking spray to cut even more calories – why the heck not? 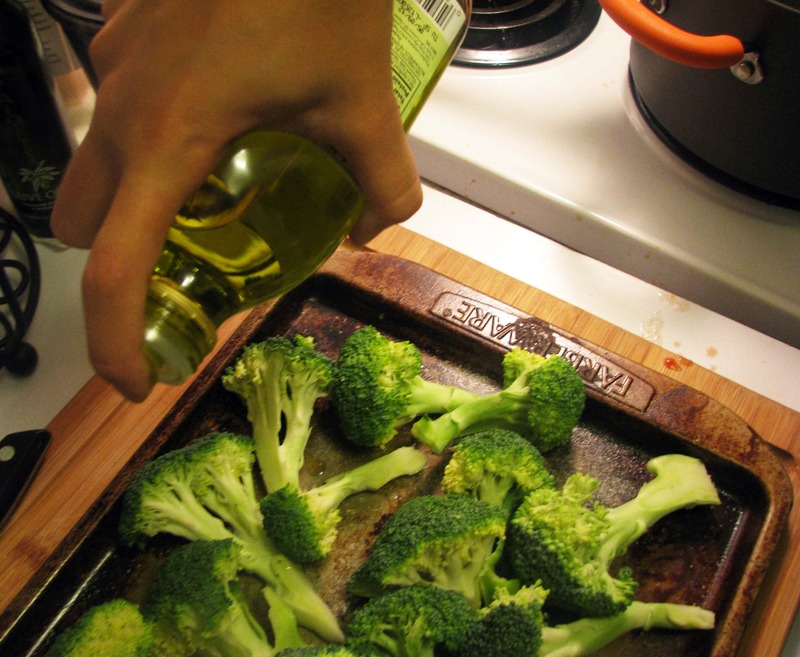 Once the broccoli is covered in oil, salt, and pepper, stick it in the oven for 7 minutes. 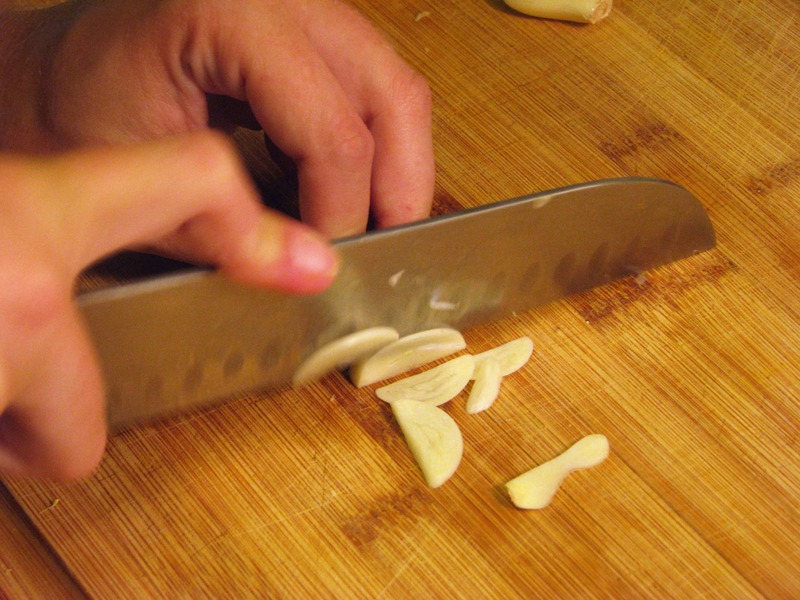 While you’re doing that, peel your garlic and slice it reeeeeally thinly – isn’t there some sort of scene in a Godfather/Scarface/Goodfellas-esque movie where that happens? I’ve never seen it. Do it like that. There, that looks nice! After 7 minutes or so, check on the broccoli. It should be a little brown on the florets and still pretty hard on the stems – about halfway cooked. 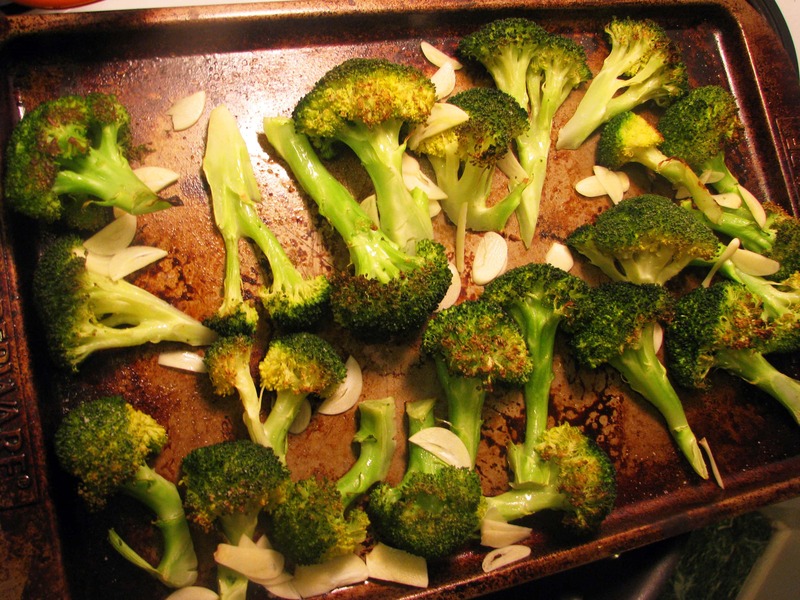 If you determine that your broccoli is halfway cooked, toss on the garlic and stick it back in the oven. See? Definitely a little cooked, but not ready just yet. 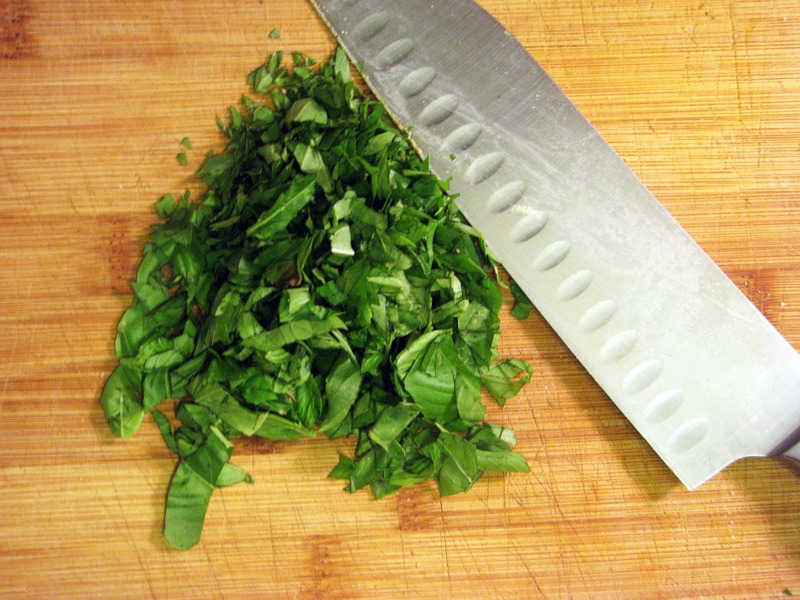 While the garlic is softening, grab some herbs (if you’re using them), and chop them up. 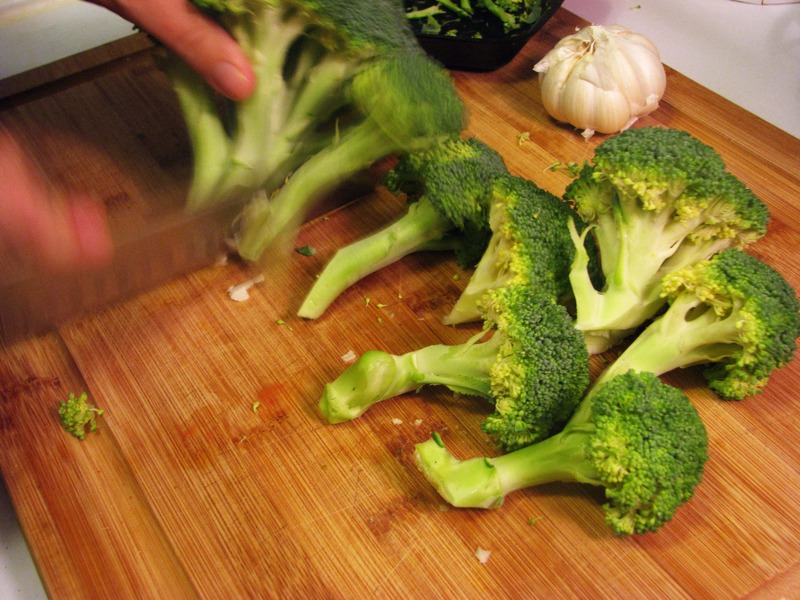 After about 5 more minutes, check your broccoli again. It should be done, or close to it! Take it out of the oven and move it to the serving dish of your choice. 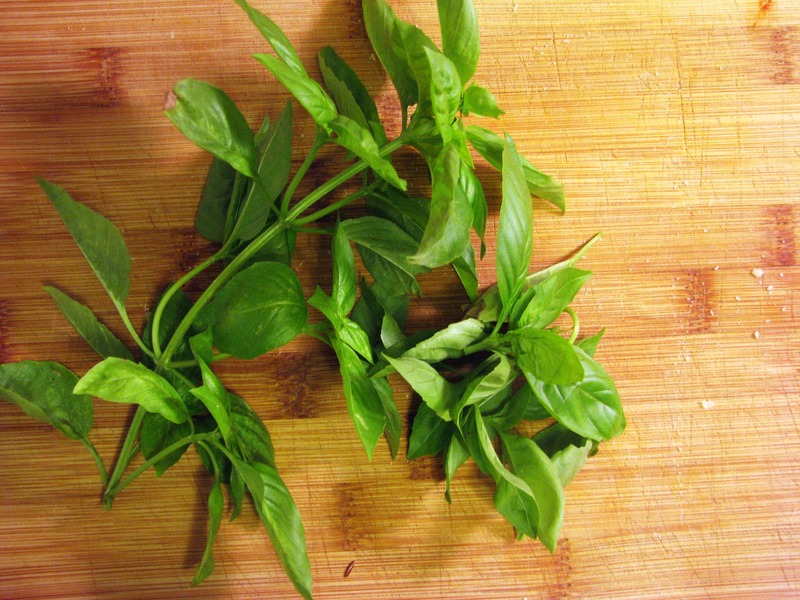 Sprinkle on the herbs, some lemon juice, and a little more salt. 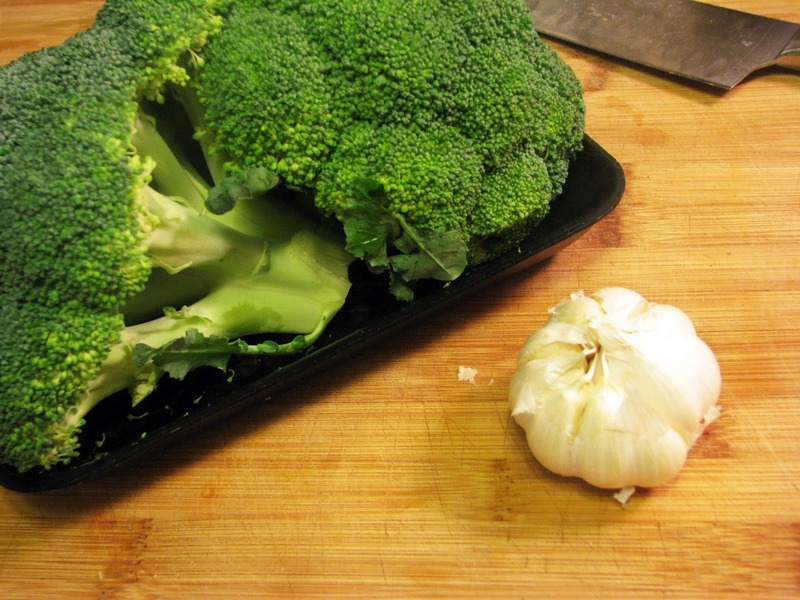 The broccoli will be soft with some blackened edges, and the garlic will be golden and sweet. YES. 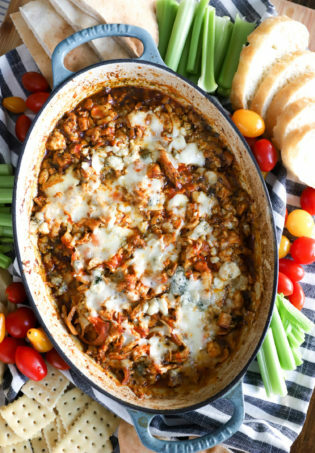 Serve this with blackened chicken for a very healthy, flavorful meal. You’ll love it, promise. Previous Post: « More Tailgating Food! 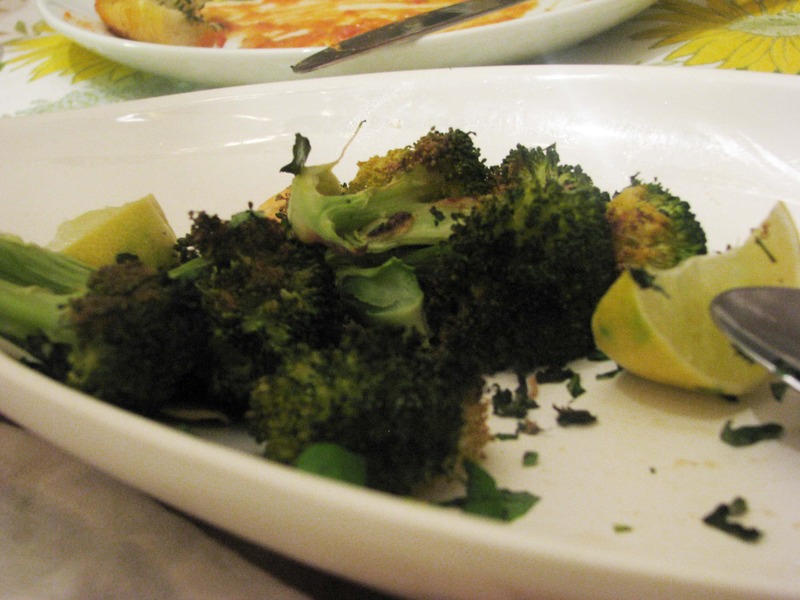 I love broccoli, since its so healthy though, i usually get a kick out of tempura frying it! AMEN! I lived in Tokyo for awhile, and tempura is one of my favorite ways to eat veggies! Check here soon for a post on that!